We have previously talked about the trend in tech companies towards giving more relevance to Product Management positions, as well as the explanation of why is this happening. Now, let us go deeper into the advantage that software engineers against other candidates when pursuing Product Manager jobs. The obvious reason. 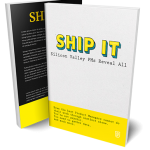 Product Managers are always between the business and technical sides of a product. Many candidates have had vast educational and work experience in the business world, but not as many speak the language of engineers. Software engineers transitioning to a Product Manager career path have the technical knowledge to translate the business’ needs to a product feature that needs to be developed or modified. Moreover, they can start determining feasibility before talking to the engineering team. Almost every software engineer is familiar with lean software development. The same principles and practices have now started to be adopted by small startups and large companies alike. The best companies expect their Product Managers reduce waste, test and fail fast, learn fast, make data-driven decisions, and see the bigger picture. 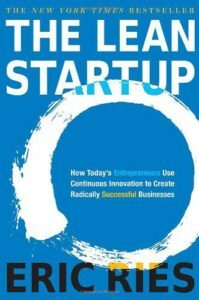 If you want to know more about how this method is implemented in the business world we recommend that you read “The Lean Startup” by Eric Ries. This might be the least straightforward of the three, but companies expect their Product Managers to be able to drive growth for the products they manage. Growth hacking appeared because software engineers with little to no marketing experience started coming up with genius and inexpensive marketing strategies to drive massive growth, thanks to their deep technical understanding of their products. One of the first growth hacks came from Hotmail, by adding “Get Your Free Email at Hotmail” as a tagline at the end of every user’s email, which led them to go from 20 thousand to 1 million users in 6 months. Being a software engineer definitely gives you an edge when applying to a Product Manager job, but candidates with non-technical backgrounds are catching up and the playing field is starting to get levelled. To prepare for the transition, Product School offers an 8-week part-time product management course across the US, UK and Canada.